Let’s face the facts: Many Los Angeles neighborhoods have a lot to offer...and West Hollywood is definitely a prime example of one of these. Think about it. The infamous Sunset Strip zips through the area, pulling in people from across the world. The LGBTQ community has long had its strong-hold in the area, bringing new charm and a different influence. Iconic hotels, like the Chateau Marmont Hotel, rise above the palm trees as a symbol of luxury. If these aren’t appealing enough, West Hollywood is often lauded as California’s most walk-able city, with a walking score of 89. If you live in a West Hollywood single-family residence, you might be thinking about selling your home and downsizing into a nearby condo. Not only does life become simpler, but you also get more free-time and fewer obligations, allowing you more time to enjoy everything this area has to offer. If you are thinking maybe it’s time to sell your West Hollywood home and move into a condo, you are not alone! Droves of single-family homeowners are selling their properties in favor of a less stressful quality of life. maybe it’s time to sell your West Hollywood home and move into a??????????????? condo? Having some reservations about the idea? No problem! Let’s go over a few benefits to condo living…. First and foremost, living in a condo means the outside work becomes someone else’s problem. Think about it. Is your precious free time taken up by cutting the grass, cleaning rain gutters, or trimming the bushes? Maybe you spend more money than you’d like on those things, if you don’t do them yourself. There’s no denying that this time and money could go toward, well, enjoying West Hollywood! Many major costs are shared when you live in a condo. Per California law, condo fees are to be held in a reserve fund. These funds cover both expected and unexpected repairs or replacements like, windows or roofing...all without asking anything more of you. What if something is needed that reaches beyond what is available in the fund? The burden won’t totally fall on your shoulder. A special assessment ensures the costs are shared among all owners. Condo living not only brings the above-mentioned benefits, but it also offers amenities, customization, security, and a lifestyle that living in a single-family dwelling simply can’t. Many West Hollywood condo buildings offer on-site swimming pools, conference rooms, workout centers, and even outside, gated recreation areas. Your safety and security may be, well, more secure with a condo compared to a single-family dwelling. Many condo developments are gated, have a doorman, and state-of-the-art surveillance so owners can sleep easier at night. Security intersects lifestyle, as not only is living in a condo less stressful and less maintenance for owners, but there is a certain sense of community that comes with living in a building rather than a home. More West Hollywood Condos Coming!
? Thursday, September 7, the West Hollywood Planning Commission reviewed plans for a four-story residential building at 1150 N. Orange Grove Avenue. This site, located between Santa Monica Blvd and Fountain Avenue, could soon become home to seven new residential units. Whole Foods is just across the street and a few steps down the block! ?At 1030 N. Kings Blvd, keep your eyes open for a four-story condo building behind the Gelson’s on Santa Monica. This development is set to include 30 condo units with two units allotted for low-income owners and three for moderate-income residents. The site will also include an underground garage with 58 spaces. Much like the Orange Grove Avenue project, these condos will be complimenting an area known for the character in its single-family residences..
? Look out for new condos on Cory Avenue...1012 Cory Avenue, to be precise. 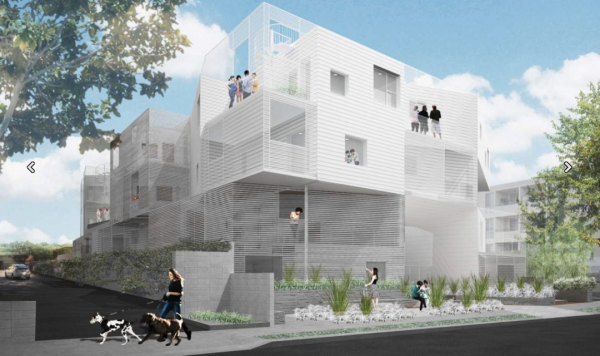 The West Hollywood Planning Commission, in a 6-1 vote, approved a proposal for a three-story building residential building to be built on the busy street. This project, which will be located just across from the Boa Steakhouse and Soho House, will bring a total of 6 units to West Hollywood.
? Next time you ride down Spaulding, be sure to slow down in the 1000 block. In August, the commission reviewed a proposed project for 1041-1047, between Romaine Street and Santa Monica Boulevard. This three-story condo building is bringing 14 condo units as well as underground parking to the West Hollywood neighborhood. ?Being an “Exceptional Design” is one way an up-and-coming project on La Cienega Blvd is being described. In early August, the commission gave a unanimous thumbs up to a new condo for 1136-1142 La Cienega Blvd. 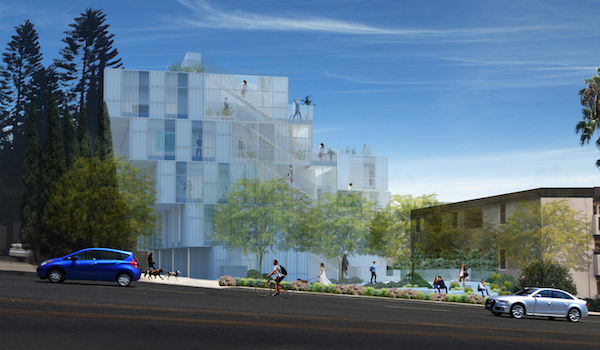 The project’s contemporary design is said to be so intriguing and unique that it very well could become an architectural and real estate landmark for West Hollywood.. At five stories tall, this condo complex will come to a total of 16,000 square-feet consisting of 23 units and two levels of underground parking. Located just south of Fountain Avenue, four of the building’s units will be designated for lower-income residents. You don’t have to wonder because it’s true: condo living is getting hotter and more desirable...and West Hollywood is the perfect place to live the life you’ve always wanted. No time is better than right now to get your single-family home on the market and set your eyes on the prize, a condo. West Hollywood has so much to offer. Wouldn’t you rather spend the money you were spending on yard maintenance or roof repairs on some shopping or entertainment? Can you ever really spend too much time enjoying life in West Hollywood? Give me a call today at 213-215-4758 for your no-obligation market analysis and find out what people would be willing to pay for your current home. You may be surprised to find just how much condo you can get for your money in one of the hottest neighborhoods in Los Angeles County!